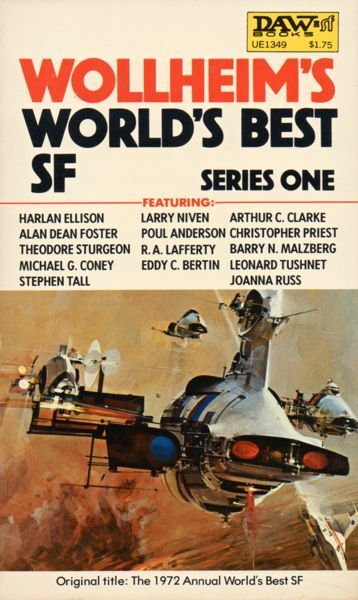 1970 was a wonderful year for short SF. Nebula Award Stories Six ed. 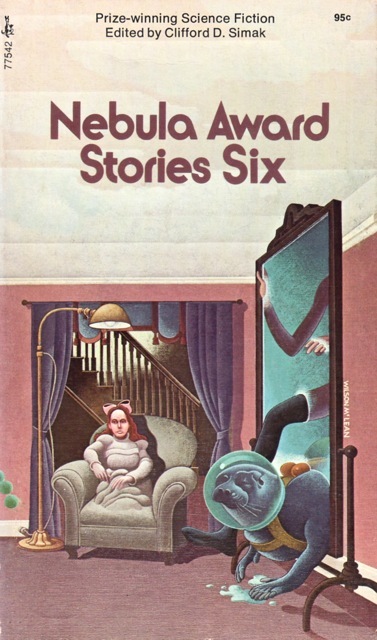 Clifford D. Simak (1971) contains a selection Nebula-nominated and winning works from the three short fiction award categories: three novelettes, three short stories, and one novella. The novelette and novella winners are included. No short story award was given out although Gene Wolfe’s “The Island of Doctor Death and Other Stories” (1970) deserved to win. I apologize in advance, I hold no love for sword-and-fantasy—the great appeal that Fritz Leiber’s “Ill Met in Lankhmar” (1970) conjures for readers is lost on me. 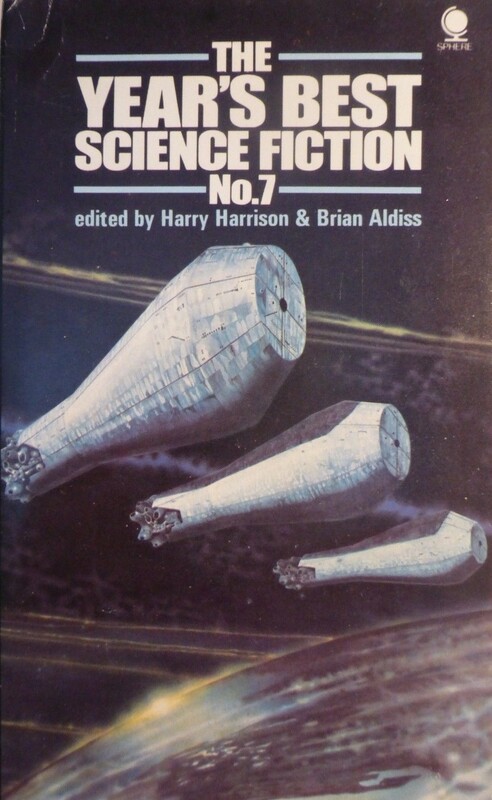 I was also impressed by the two “second tier” authors in the collection: Harry Harrison and Keith Laumer. Both of their efforts were mature and evocative. Although, Joanna Russ’ “The Second Inquisition” (1970) blows them out of the water. 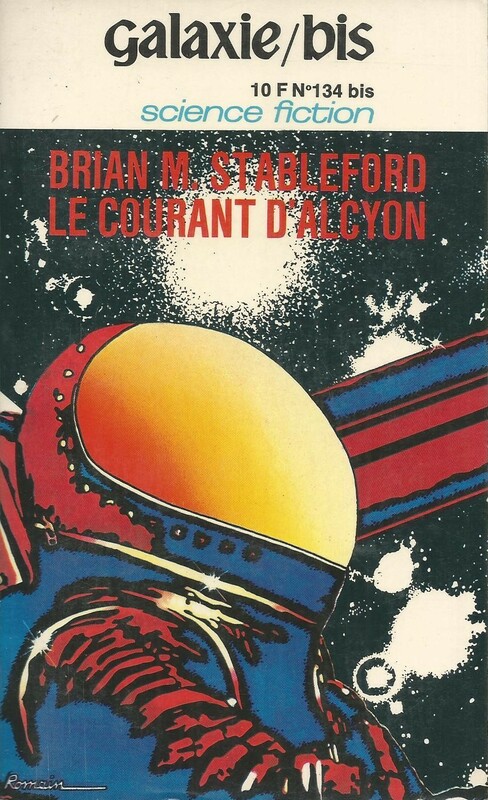 High recommended, especially for fans of New Wave/Literary/non-Space Opera SF. 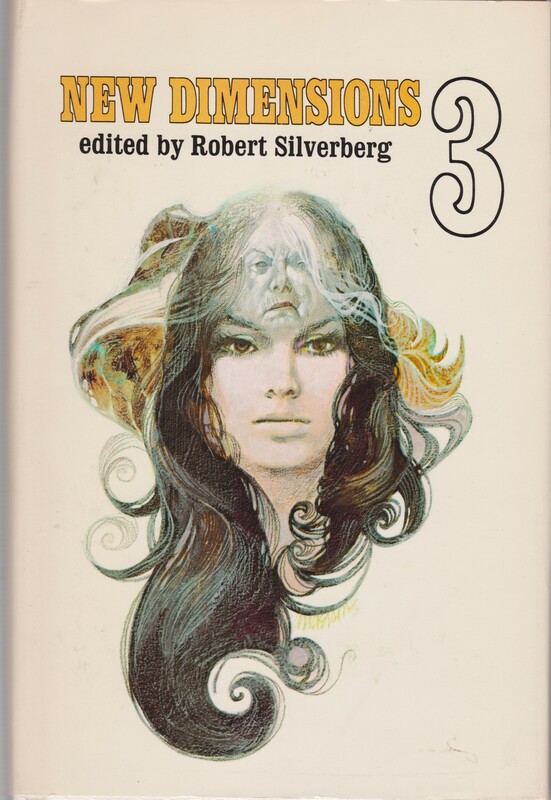 “Slow Sculpture,” Theodore Sturgeon (1970) 4/5 (Good) novelette is one of Sturgeon’s most loved stories and the winner of the Hugo and Nebula award. A young woman leaves her house in a panic after discovering a cancerous lump in her breast and encounters a man performing experiments on plants: “He struck the tuning fork again and the leaves pressed away from one another” (25). She confesses to him her fear of dying and he claims that he can “fix” her (27). After she is cured, she grows angry at his reluctance to help others, to share his knowledge with the world. He reveals his morally nebulous past in which he allowed businesses to bribe him to not put his inventions that would help save the environment into production…. Sturgeon transforms the common pulp theme—“crazy scientist develops technology that will SAVE THE WORLD”—into a literary experiment that tackles serious themes in a mature way. 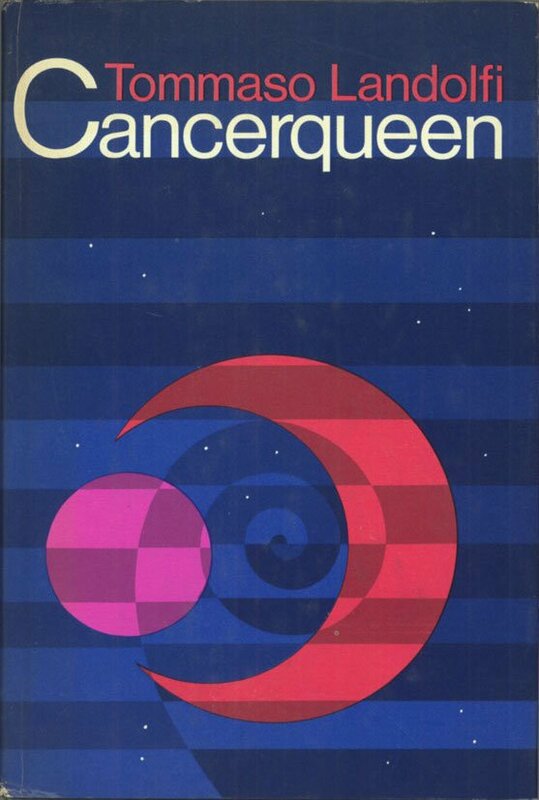 “In the Queue,” Keith Laumer (1970) 4/5 (Good) short story: One of the surprises of the collection that will definitely make me pick up more non-Retief short stories by Laumer. At least I have his collection Timetracks (1972) on the shelf. “In the Queue” hints at a strange (slightly) future world where people wait for years in a line, endlessly conniving to get ahead a few spots, fight against the bureaucracy regulating the movement and rules of the line, and remember fondly their largest gains. A poignant and rather terrifying metaphor of life condensed in a few pages with some intriguing scenes and situations. “The Island of Doctor Death and Other Stories,” Gene Wolfe (1970) 4.5/5 (Very Good) is a delightful metafictional short story in the Archipelago sequence. Told in the second person, Tachman Babcock lives on Settlers Island, more of a peninsula, and reads a series of fantastical stories about a shipwrecked mariner (Captain Ransom) and his arch nemesis Doctor Death. As with Russ’ “The Second Inquisition” (below) the characters in the story enter into the life of Tachman and influence his actions. The effect is even more unusual in that his family is simultaneously preparing for a costume party as Tachman interacts with the characters from the book he is reading. The characters help reveal to Tachman the dark secrets of his own family.. As Tachman nears the end of the book Dr. Death himself dispenses wisdom, “But if you start the book again we’ll all be back,” even the villains. And then Dr. Death refers to the fact that Tachman himself is a literary creation, “It’s the same with you, Tackie. You’re too young to realize it yet, but it’s the same with you” (74). Highly recommended. “Ill Met in Lankhmar,” Fritz Leiber (1970) 3/5 (Average), winner of both the Nebula and the Hugo Award for Best novella, is a sword and fantasy story with some of Leiber’s most popular (and recurring) characters—Fafhrd and the Gray Mouser. The story recounts how both the characters first met—in this case, simultaneously attacking Slevyas, “master thief candidate” and the “fat, darting-eyed Fissif, thief second class,” who had just stolen jewels from Jengao the Gem Merchant (75). Long, dull, sequences of sword fighting are interspersed with intriguing comments about the nature of the city of Lankhmar, “Damn Lankhmar’s night-smog” (83). Soon Fafhrd and Gray Mouser realize that they will make a great team in their various schemes—such as infiltrating the headquarters of the Thieves Guild. The rather sinister ending of the story rescues the work from the sword-and-fantasy doldrums. “Continued on Next Rock,” R. A. Lafferty (1970) 4/5 (Good) novelette, is only the second Lafferty work I have read (the first was “The World as Will and Wallpaper” in the 1973 anthology Future City) and it more than delivers. A strange collection of characters gather “up in Big Lime country” at an upthrust chimney rock that is “only a little older than mankind, only a little younger than grass” (125). The five party members—including a woman with prescience—start excavating an archaeological site. A mysterious visitor, Anteros Mannypenny, a “Indian. Shawnee. Choc, Creek, Anadarko, Caddo and pre-Caddo” (129), arrives and predicts every stage of the excavation a new amazing artifact which seems to be calling into question every major theory of development. Each of the party members has a special ability, Howard Steinleser can interpret the stones. Talk of myth mixes with beautiful scenes, “it was all about them and through them: the brightness of serpents and the serenity of toads, the secret spiders in the water, the entrapped dreams oozing through the broken eyesockets.” (137). Hallucinatory, bizarre, oblique, and rather beautiful…. “By The Falls,” Harry Harrison (1970) 4.5/5 (Very Good), short story: Other than the co-written (with Gordon R. Dickson) novel The Lifeship (1976), I have had little exposure to Harrison’s oeuvre. “By the Falls” is a memorable and pleasantly minimalist work. The Falls is a massive waterfall, “a falling ocean, a vertical river” (150) that forms a barrier to the world above. Carter, a reporter, arrives unprepared by the majesty and sheer immensity of The Falls. Carter encounters Bodum, a man who lives alone in a house near the base of The Falls. Bodum is obsessed by a grotesque/shattered taxidermy dog—crushed by the plummet onto the rocks from the world above. So obsessed that he ignores Carter’s claims that he could see indications of other inhabitants above The Falls. The nature of the bifurcated world, separated by the immensity of the cliff over which The Falls tumble, is delightfully oblique. The crushed body of the dog, is a visible indicator of the existence of others above. Although Carter claims he sees indications of life above the ridge the mutilated body is the physical proof. 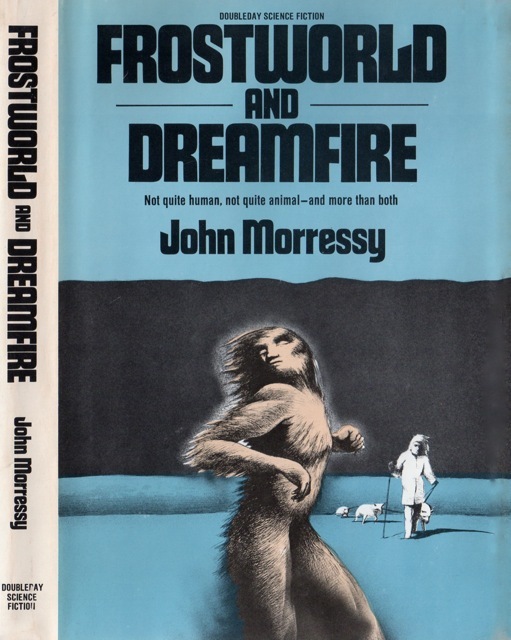 The intended meaning behind the dense and highly controlled sequences of events that unfold in often hallucinatory fashion (the space seal on the cover above is a scene from the story) is illuminated by the John Jay Chapman quotation at the beginning: “If a man can resist the influences of his townsfolk, if he can cut free from the tyranny of neighborhood gossip, the world has no terrors for him; there is no second inquisition” (158). Although layered, Russ leaves numerous hints indicating that the visitor is simply imagined by our young narrator. The strength of the story resides in the interjection of the imaginary into the everyday. And the transformative power of the imaginary on everyday lives… Which is how Russ wanted us to read her SF. Easily the best story in the collection. I always enjoy reading your reviews but I don’t see why anyone would consider Harry Harrison a “second tier” writer. He is one of only 30 SFWA Grand Masters, and a renown editor and illustrator as well. Very few authors can display his range of skills and talent. Hence why I put it in quotes. But there are numerous authors who are called “Grand Masters” which I am hard pressed to categorize as such 😉 Although, I have not yet read enough his work to really claim that for him. But yes, count me in the “unimpressed with Harry Harrison camp” (except for this particular short story). Looks like a good one! You’ve made me aware and convinced me to buy a copy. I thought you’d like Wolfe and am not surprised the Leiber didn’t resonate with you. Great review as ever Joachim, I love the cover art for this one too – very surreal and almost mundanely odd. 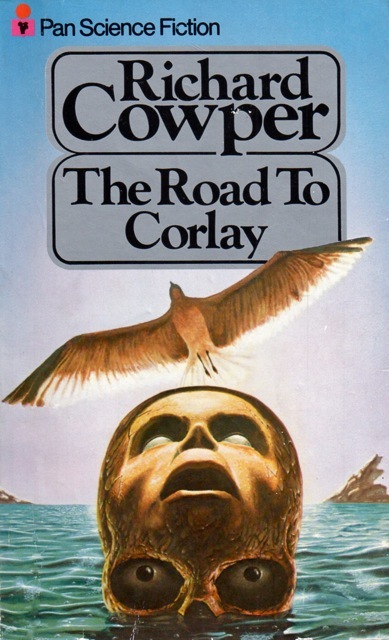 The art departments today wouldn’t dare to use such bizarre imagery as this on a science fiction title. All the best. 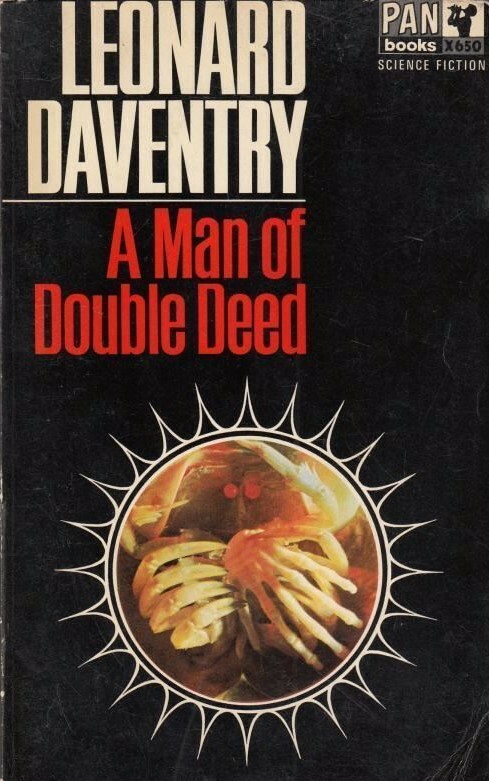 Haven’t read the Gene Wolfe one,as with the rest of the stories,but have read his “The Death of Dr Island”,which wasn’t nearly as good I didn’t think as “The Fifth Head of Cerberus” or “The Book of the New Sun”. I recommend reading it (see Carl’s comment below). Wolfe really does evoke some of the joys of reading as a child, and how transformative stories are. 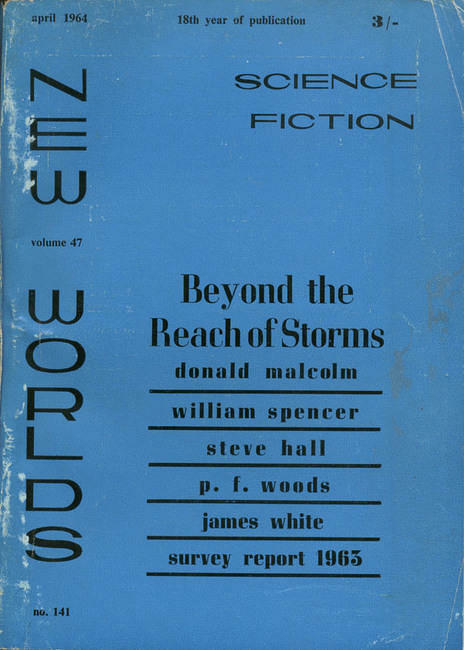 I think is important that you keep these past science fiction authors alive. Thanks! Albeit, most of these are quite famous… Some of my other reviews are of the more forgotten. Hopefully the’ve lasted all this time,so they will continue to.Gene Wolfe in particular has written books that are lasting classics. It certainly looks like a vintage year! If you like your SF literary and complex! So long as there’s a cracking story in amongst the complexity! Do you read modern SF at all, Joachim? Well, I did at one point — not in the last 8 years or so. Have to say – I’m slightly relieved at your answer… Otherwise you wouldn’t have time to LIVE and BREATHE if you were reading modern stuff at the rate you read the vintage genre! Sounds like a great collection overall. I am one of the fans of Leiber’s Fafhrd and the Gray Mouser series and Ill Met in Lankhmar started it for me. 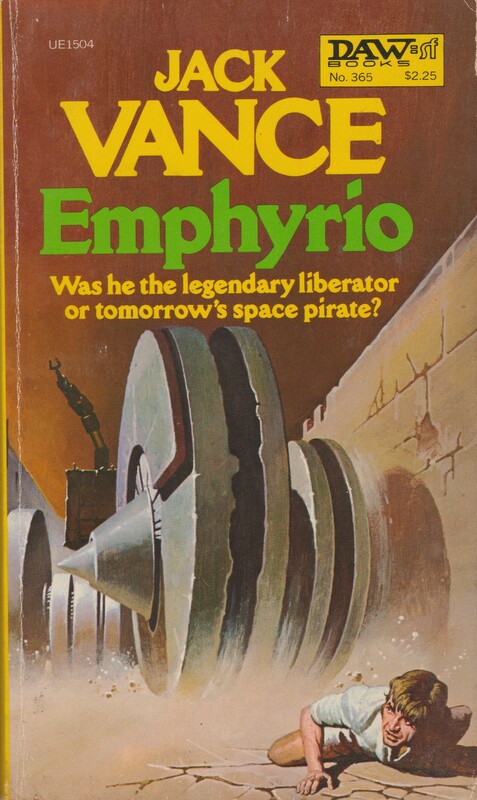 I’ve read the Laumer and thought it was fantastic. Must have been in one of the short story collection of his that I’ve picked up because of fun old covers. I so remember that feeling as a child, and on those occasions that I still feel that way as an adult I consider myself very lucky indeed. I too really enjoyed the Laumer! Are reading Wolfe’s other books I mentioned yet? Not yet, dissertation writing is taking up most of my time — hence the serious decrease in my blog activity. The Wolfe sounds wonderful and might give me some insight as I read through the Book of the New Sun series. And the Russ, well, I just really need to get around to reading some Russ. I have The Female Man on my TBR for next year! I also recently read Picnic on Paradise (not reviewed) and enjoyed it — it might be a good place to start with Russ. It takes a standard adventure story — move these people across inhospitable planet — and transforms it. 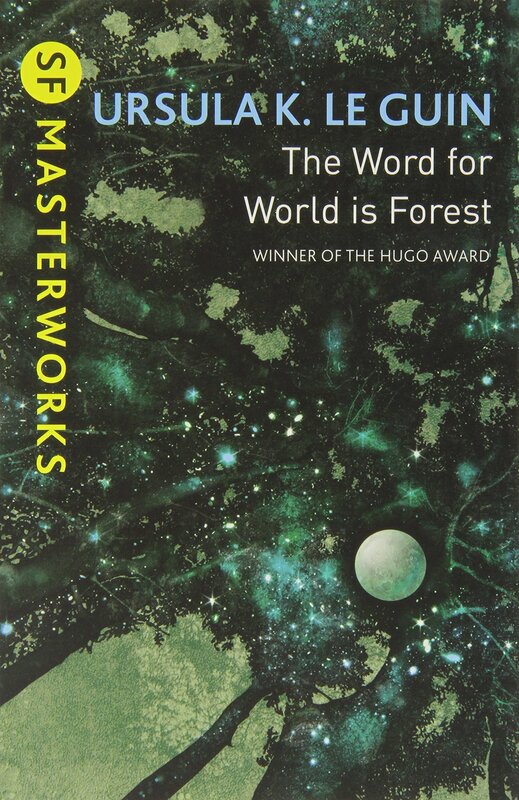 And, one of the few SF novels out there with middle aged women protagonists. Regarding ‘forgotten authors’, I just found an old copy of Galouye’s ‘Dark Universe’. I wouldn’t have known about it if not for your review. The price was 25 cents, which also helped to encourage the purchase. I really enjoyed it — and Megan at From Couch to Moon did as well. Thanks for the link, I’ll have to follow her blog too. I must say I’m rather surprised at the Harrison story. Like you, I’m “unimpressed” by the author. I’ve read Deathworld, The Stainless Steel Rat, the first book in his Eden series, and a small number of shorts. None of them left a lasting impression save the Eden book, which may or may not be Harrison’s magnum opus. The rest were standard genre fare, neither good nor bad. Yeah, I agree with you here — but, I do not kid when I say that this was pleasantly surprising and rather unlike standard genre fare. Deserving of the Nebula nod for sure. I’ve only read two of his,”Bill,the Galactic Hero” and “The Stainless Steel Rat”,the first of which I really quite liked.He is a satirist,and that’s his standing in sf.So I haven’t read “Make Room,Make Room”,which is supposed to be his masterpiece I think. I have Transatlantic Tunnel, Hurrah (I think that’s the title), Captive Universe, and Make Room, Make Room on the shelf unread. Was tempted by Captive Universe… But wasn’t feeling the Aztec vibe — although, Bishop’s Stolen Faces (1976) channeled it well.